Tufting, trimming and grinding toothbrush machine. This Toothbrush Machine integrates the functions of tufting, trimming and grinding filaments together. It has a compact structure, high running speed and good stability. The tufting speed can reach 900 tufts/minute. * It is able to finish the tufting, trimming and grinding of the filaments. No other treatment to the toothbrush is needed. * It produces toothbrushes with 1~3 colors filaments. Looking for ideal CNC Toothbrush Trimming Grinding Machine Manufacturer & supplier ? We have a wide selection at great prices to help you get creative. 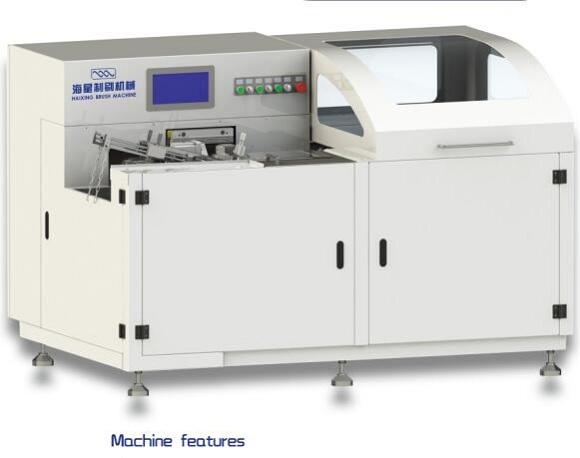 All the Automatic Toothbrush Trimming Grinding Machine are quality guaranteed. We are China Origin Factory of Automatic Toothbrush Tufting Trimming Machine. If you have any question, please feel free to contact us.